Sometimes we need to just stop and think about who we are and be aware of what's around us. These twenty-five mind blowing photos will make you completely reevaluate your vision of the world. 1. 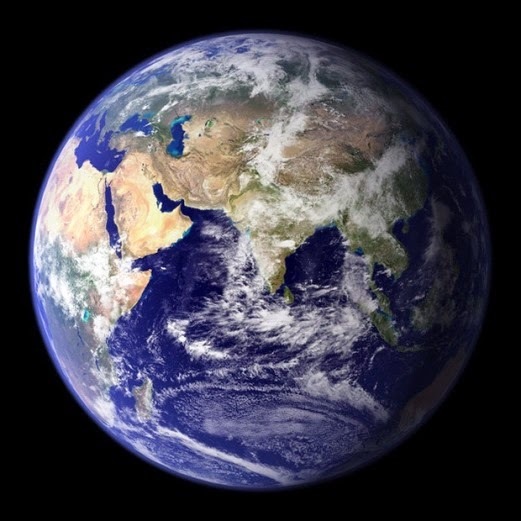 This is where we all live, our Earth. 2. 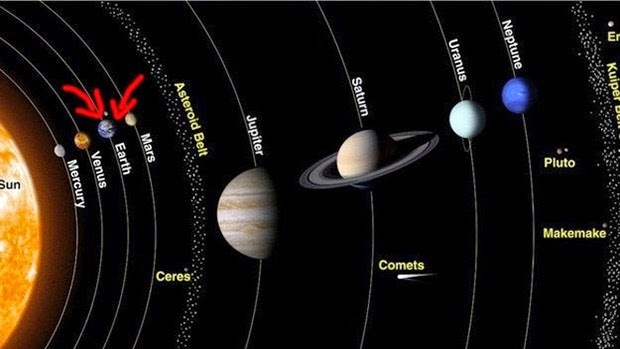 This the solar system, our “neighborhood”. 3. 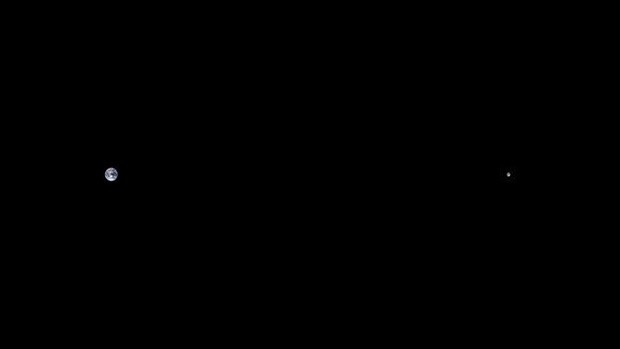 This is the scaled distance between Earth and Moon. 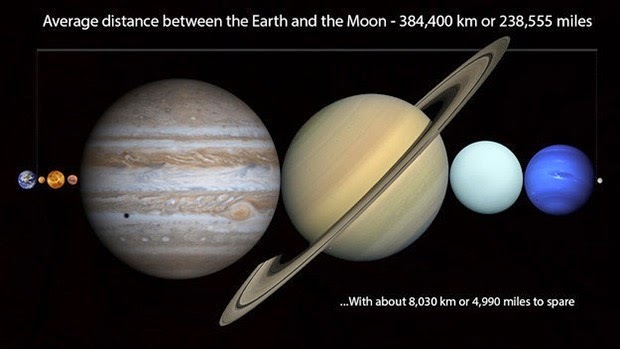 Did you think the moon was farther? 4. 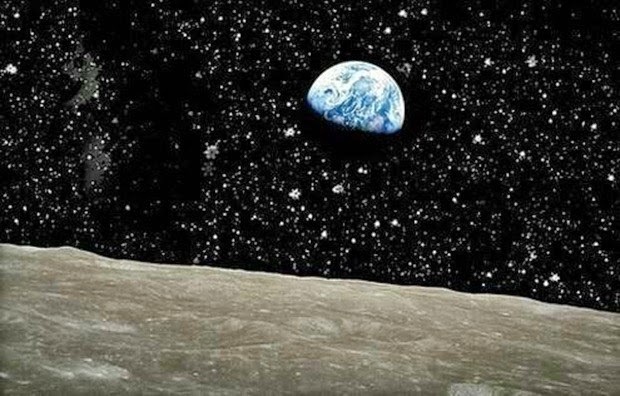 What if I told you that you could fit every planet of our solar system between Earth and moon? 5. 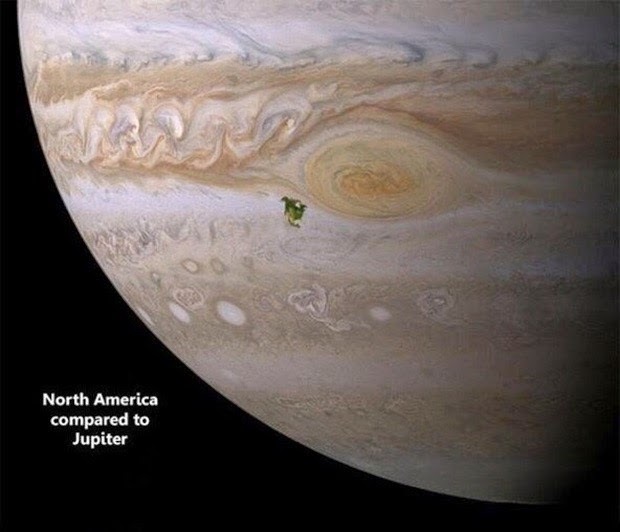 If you still don't have a measure of how tiny we are, here is North America compared to Jupiter. 6. 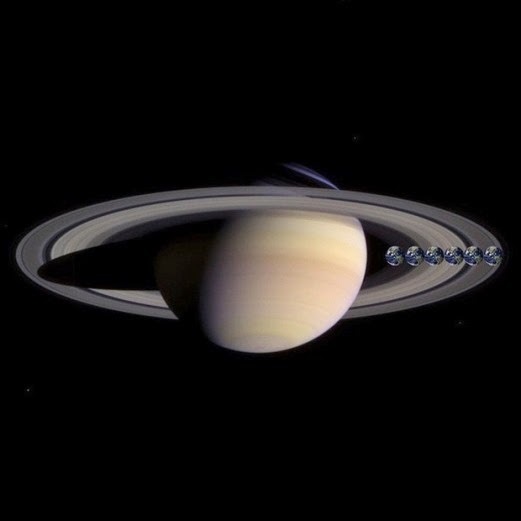 You could line up SIX Earths on the Saturn's rings. 7. 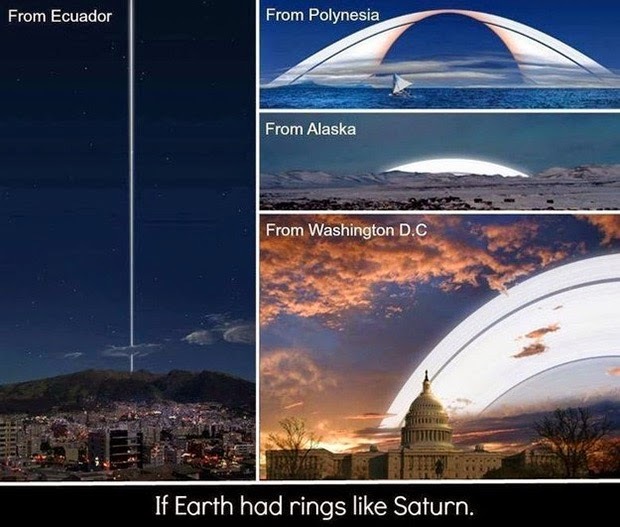 And here is how our sky would look like if Earth had rings like Saturn. 8. 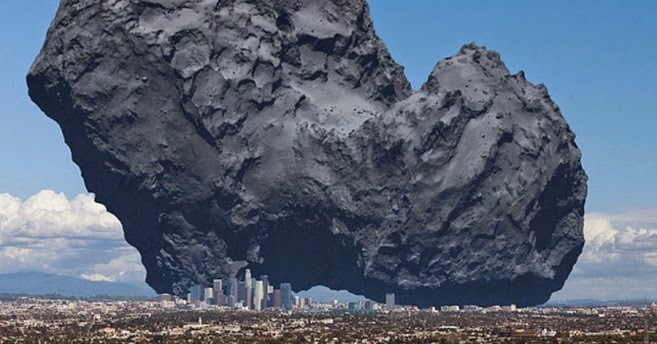 This is a comet, compared to Los Angeles. Big, isn't it? 9. If that was big, here is the sun. 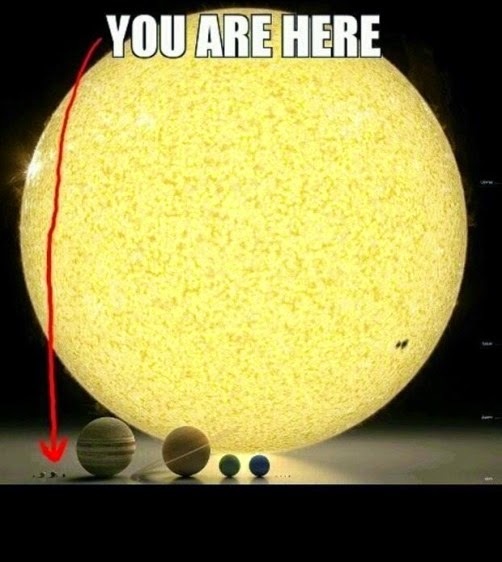 We are that tiny little point down there. 10. And here is how we look like from the moon. 13. 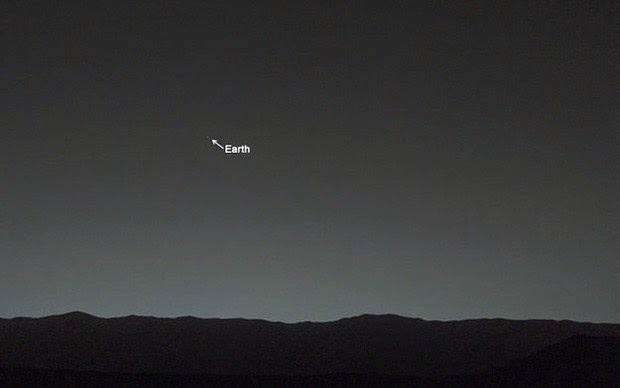 And from Neptune, 4 billion miles away. 14. 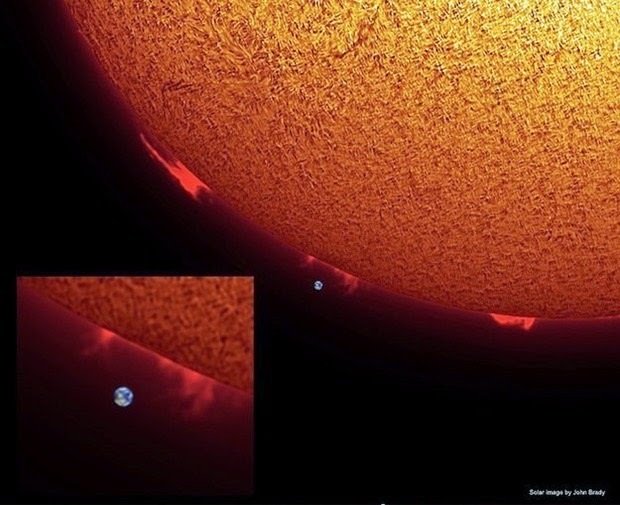 But let's look again at how we look like compared to the sun. It blows my mind every time. 15. 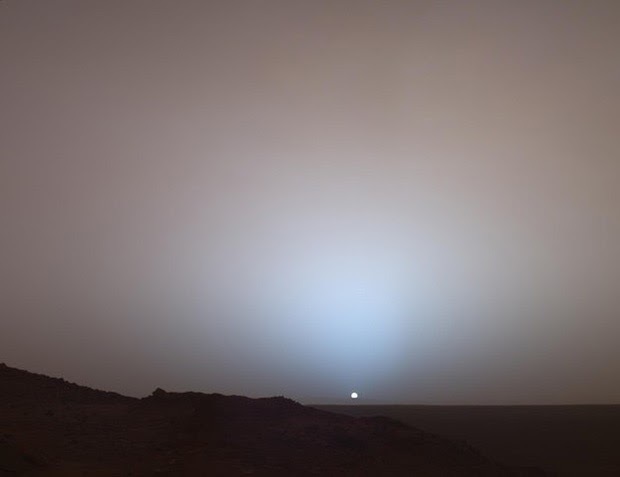 That little dot is the sun, seen from Mars. 16. Did you know that there are more stars in space than there are grains of sand on every beach on Earth? 17. 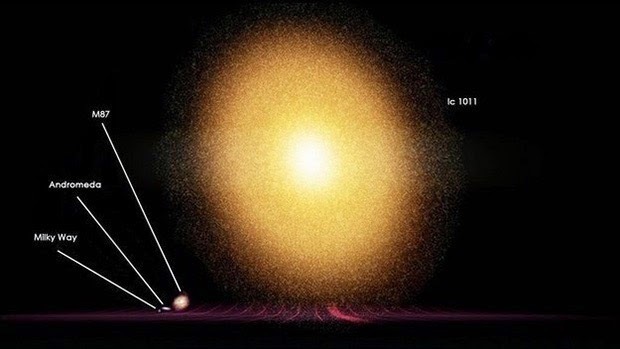 And between all these stars, many are much bigger than our sun. 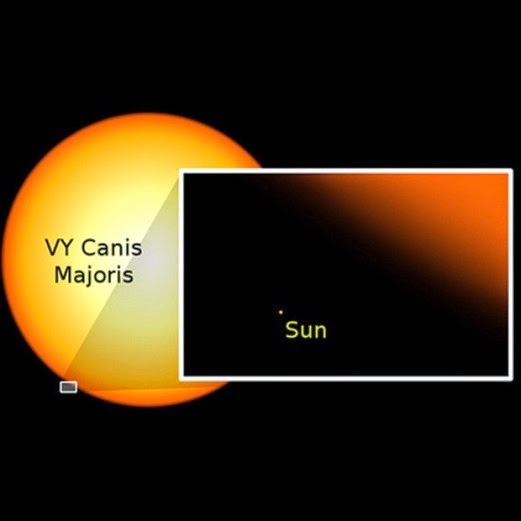 Take a look at how it looks compared to VY Canis Majoris. 18. 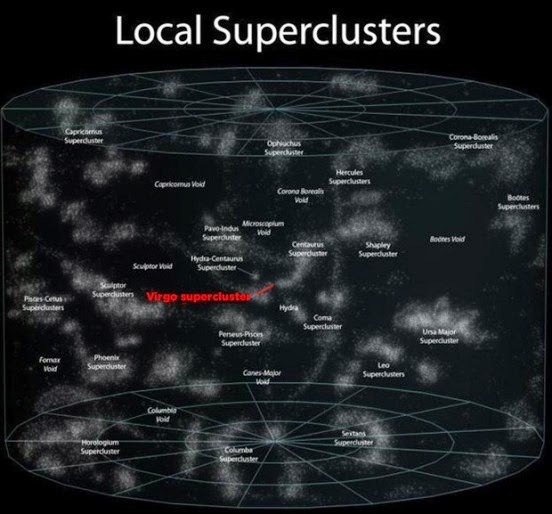 And galaxies are incredibly bigger. 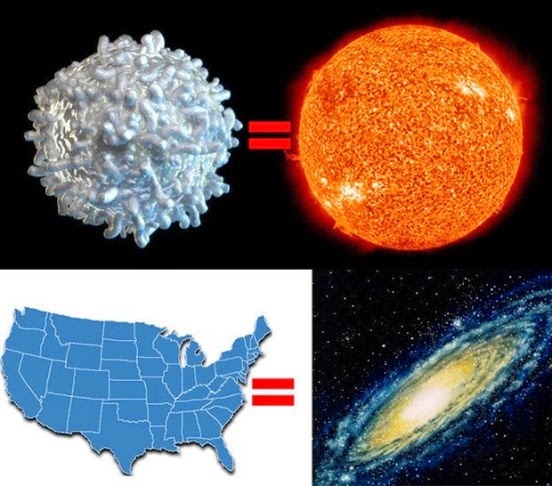 Just so you understand: if the sun was a blood cell, the Milky Way would be as big as the United States! 19. 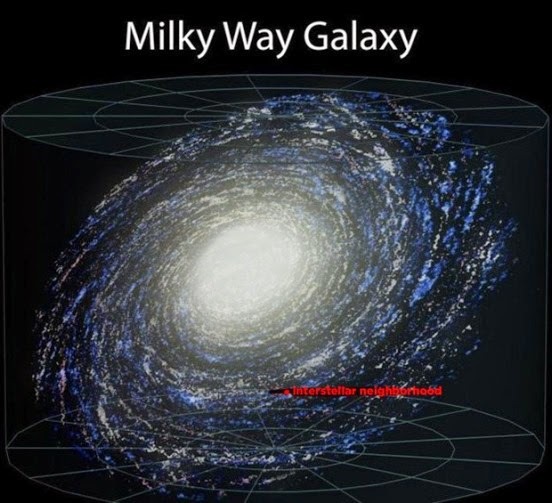 The Milky Way is enormous. Here is where we are inside it. 20. 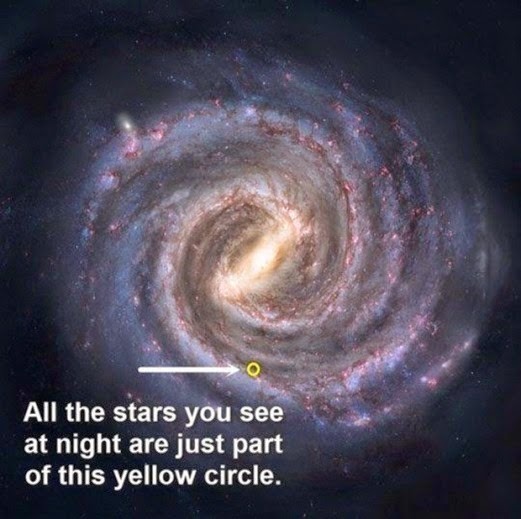 Thinking that all the stars we can see at night are just part of this yellow circle is mind blowing. 21. 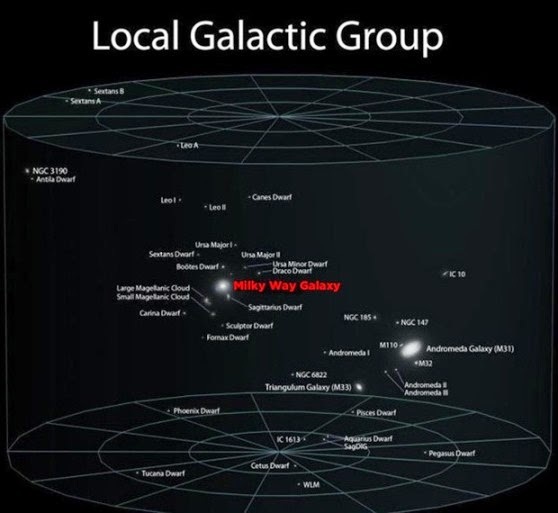 But don't you ever think the Milky Way is the biggest galaxy in space. 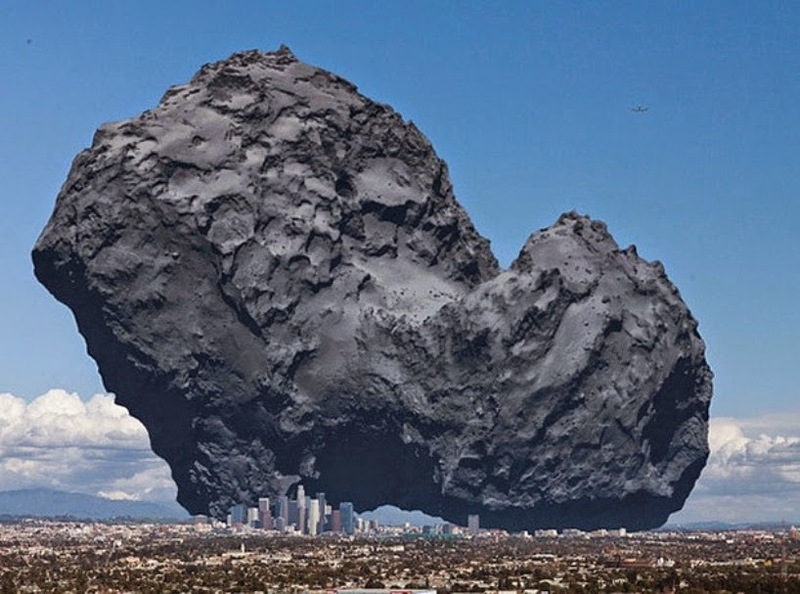 Here it is compared to Ic 1011! 22. 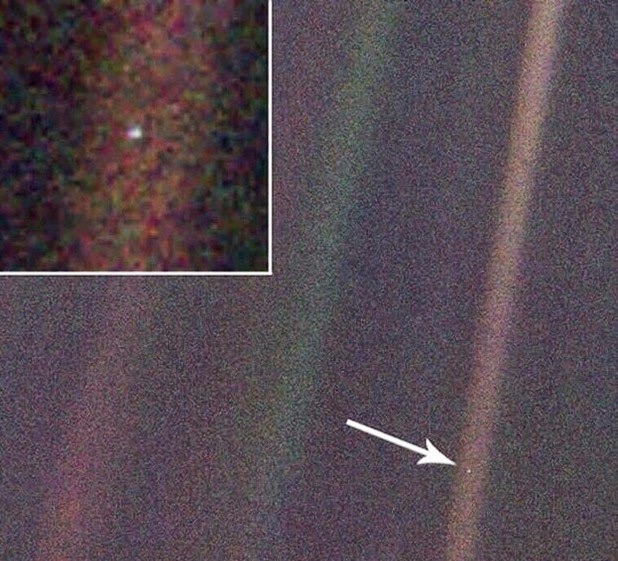 This is a picture taken from the Hubble telescope. 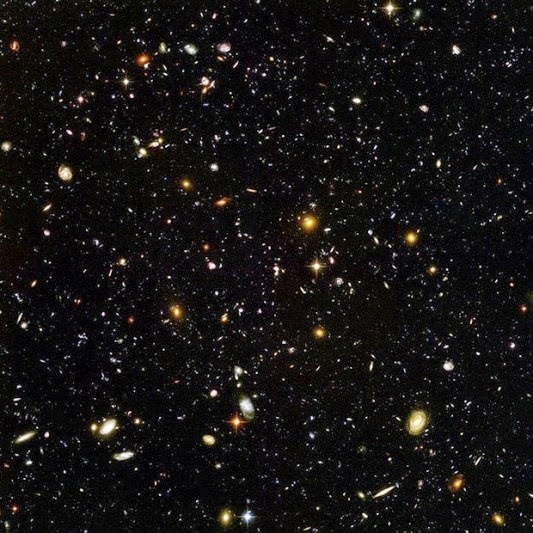 In just this space there are millions of galaxies, each and everyone of them containing million of stars, each with planets orbiting around them. 23. 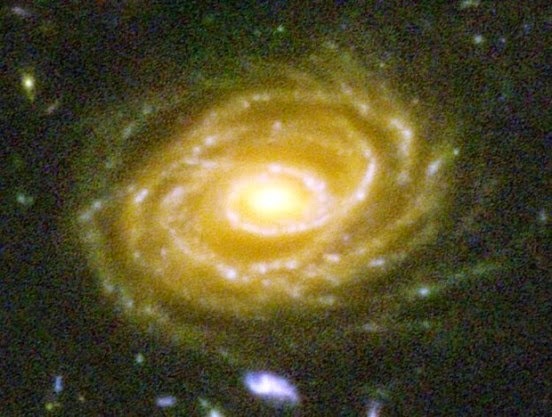 This is one of these galaxies, UDF 423. It's 10 billion light years away. Do you know what this means? 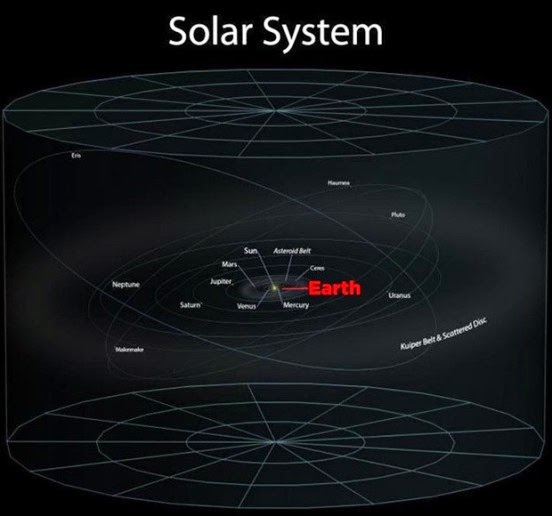 Its light takes 10 billion years to reach the Earth. 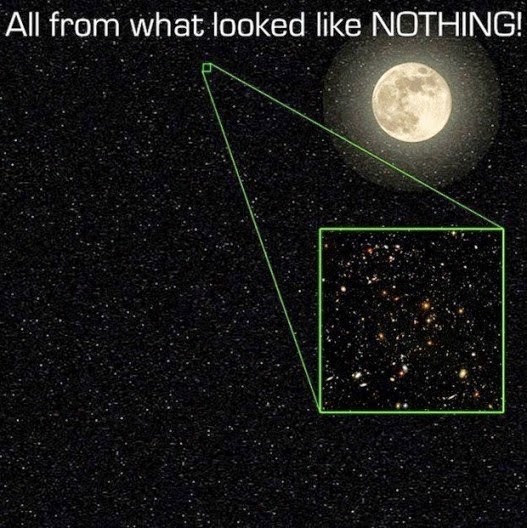 Basically, by looking at this galaxy you are looking 10 billion years into the past! 24. Keep in mind that every single inch of your vision of the night sky contains billions of galaxies, stars, planets. 25. But it's not all roses out there. 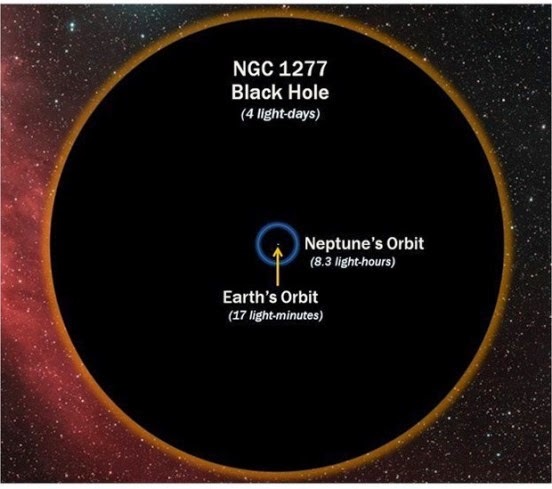 Here is a black hole compared to our orbit. 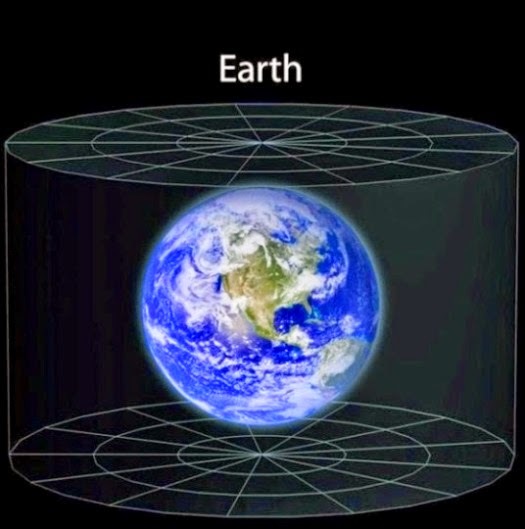 A black hole is a region of spacetime where gravity is so strong that no particle or light ray entering that region can ever escape from it. 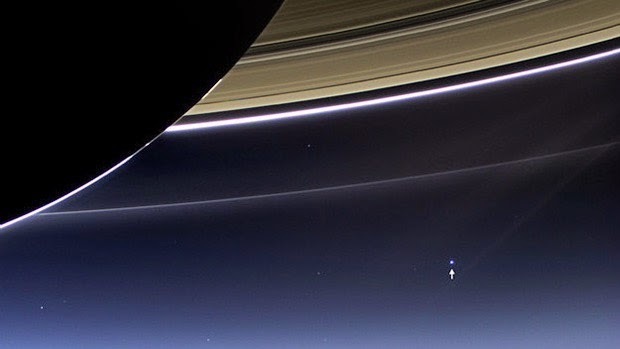 So whenever you think about your life and existence, about the good and bad in this world, keep in mind that we are just a tiny, little dot lost in space. Just a little recap. This is where we live. This is how we look like in our solar system. 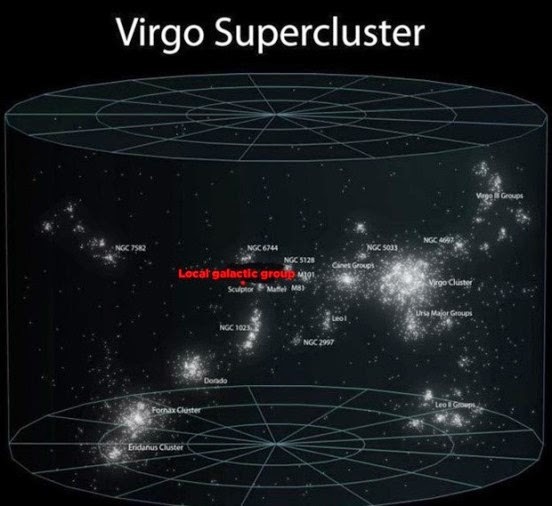 And in our interstellar neighborhood. 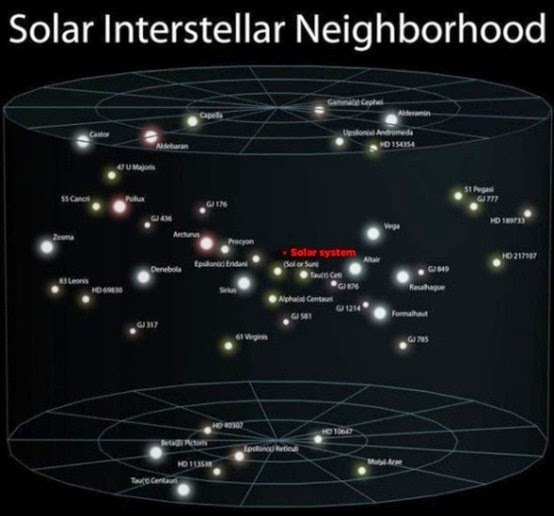 Our neighborhood compared to our galaxy. And how it looks like from farther. Let's zoom out a little more. 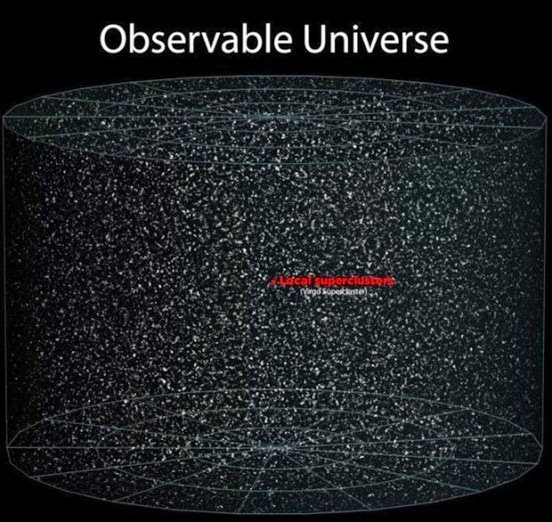 And here we are, here is the observable universe. 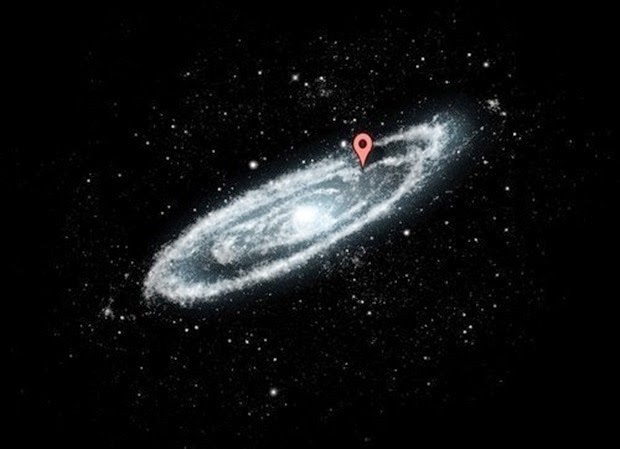 Everything we said before fits in that little red dot. Impressive, right? A Man Filmed Heaven For 7 Days. What He Recorded Will Take Your Breath Away!